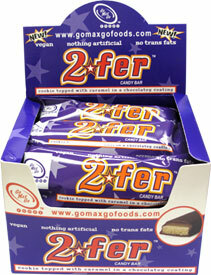 Go Max Go has always been the best when it comes to replicating classic candy bars into a new vegan form, and they've definitely made a splash with their new treat called the 2fer, which is VERY similar to a Twix™ but of course, it's made only with vegan and GMO-free ingredients! The 2fer starts with a delicious cookie, tops it with smooth caramel, and then enrobes the entire thing in decadent vegan ricemilk chocolate to give you an amazing taste sensation that'll let you enjoy the flavors of this classic combination without sacrificing your ethics. 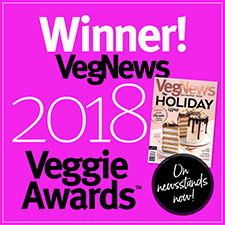 Or, flavor for that matter, because you're not giving up anything but those nasty non-vegan and artificial ingredients when you enjoy a 2fer! Each 2fer is 1.5 oz. 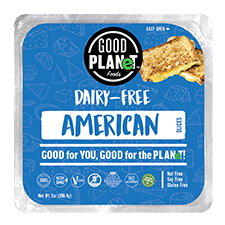 (43g) per package, with 12 individual packages per box for $26.89 which saves you 10% off the normal retail price!